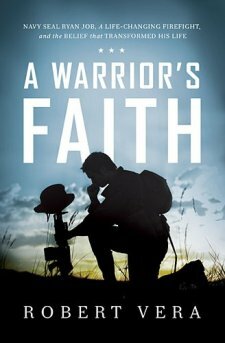 A Warrior’s Faith is a closer look at Ryan Job, an elite Navy SEAL who was wounded in action during a tour of duty in the Iraq War. Thomas Nelson describes the book as “a firsthand account of divinely directed change in a man who was transformed by God’s love and who in turn transformed everyone around him.” Though not as well-known as the American Sniper, Chris Kyle, Job worked alongside Kyle. This book tells the story of his service, his wound, and his recovery. Robert Vera is a close friend of Job’s and an entrepreneur and author, and he tells us Ryan’s story throughout. Surprisingly, the story of Ryan’s wound takes place about a quarter through the book, and most of the rest is dedicated to his recovery. This makes sense, since Vera frames the story in terms of Ryan’s incredible impact on the people around him, starting with his SEAL teammates. Vera is obsessed with Ryan Job’s last name, and how similar he appears to the biblical character of Job. While much of the connection is tenuous, there are some intriguing parallels that Vera develops. His favorite by far is to recite the “hedge of protection” that surrounded Ryan Job through his injury, recovery, and death. After his injury in his eye, Ryan Job returned to the United States, where he continued to set an example of hard work and faith, even when blinded. The author and Job climbed mountains together, went on daily running routines, and kept their bodies in excellent shape. 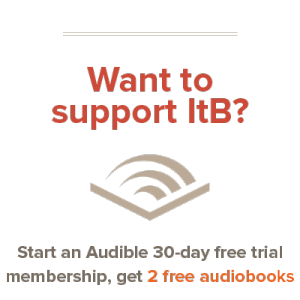 Job’s determination and grit are very apparent throughout the book. Less apparent is Job’s specific faith. Vera is very anxious to point out that his faith is evident in everything he lived — and it is — but I was left wanting more on this point. Sadly, Ryan Job was killed while recovering from a surgery in Arizona. Medical negligence led to his death, accordingly, the final portion of the book describes this and the response to his death. Vera also devotes a chapter to the death of Chris Kyle, Job’s more well-known SEAL teammate. Vera describes Ryan Job’s number one gift to him as “the inspiration and courage to live my faith.” He closes the book with a some pages describing how his Christian faith has grown, how Ryan Job was influential in shaping that faith, and how the reader can learn of this faith himself. It’s a welcome ending to a biography of a great man: Ryan Job put God at the center of his life and Rob Vera’s final challenge to the reader is to do the same.